Did you know that in NSW, on Sunday 28 October we celebrate Grandparents Day? This is the perfect opportunity to recognise the role grandparents and elders play in our society – both the things they have done, and the things they keep doing. Over time, there has been a real shift in the grandchild/grandparent relationship and it’s fair to say that in 2018 grandparents are more involved in raising our next generation than ever before. 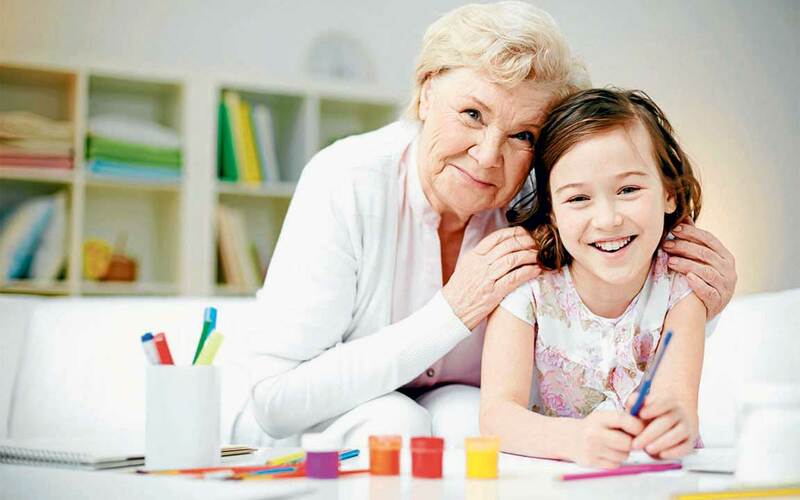 Grandparents are now often seen doing the school drop off/pick up, cheering on the sidelines of netball, soccer and footy games, supervising kids at the park, attending annual performances, and many more activities with and for their grandchildren. In fact, grandparents, mostly grandmothers, are the major providers of child care for preschool children when both parents are working, says social researcher, Dr Gay Ochiltree. This is an enormous responsibility and inevitably, as grandparents spend more time caring for their grandchildren, they spend more time teaching them – teaching them how to read, to count, to draw and tell time. Grandparents also have an important role to share their faith with their grandchildren. I remember both my grandmothers giving me special prayer books or rosary beads and planting the seed for my own faith journey, sharing a special bond with them. The Church encourages grandparents to share their gift of storytelling to inspire and teach their grandchildren through prayer, Bible stories, and conversations encouraging children to ask questions. Many Catholic schools celebrate the important grandparent/grandchild relationship by hosting their own Grandparents Day during the year. It might involve a morning tea, possibly a mass, but certainly what you will see is children proudly showcasing some of their work, giving grandparents an opportunity to see what their grandchildren have been learning throughout the year. But, with many grandparents playing an active role in the raising of their grandchildren, it’s important that schools engage grandparents beyond just one special day each year and instead make a conscious effort to involve them in the school community. How does your school support the grandparent-grandchild relationship? Are grandparents involved in your school community and kept informed of what’s going on? • invite them to participate in school/family events, such as Mass. Much like parents, grandparents too need support, tools and resources to guide them when it comes to their grandchildren’s education. We know that shared reading at home is beneficial for children and their development. Fortunately, as grandparents are often great storytellers, this is one activity in particular that they can enjoy with their grandchildren.